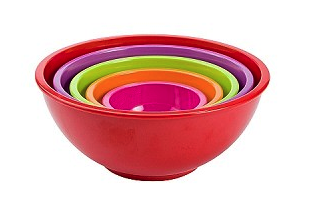 Deb of Menopausal New Mom is giving away this set of 5 colorful mixing bowls from Zak Designs! There are many ways to earn extra entries for this contest and it is open to both U.S. and Canadian entries. This giveaway ends on October 27th, 2010.